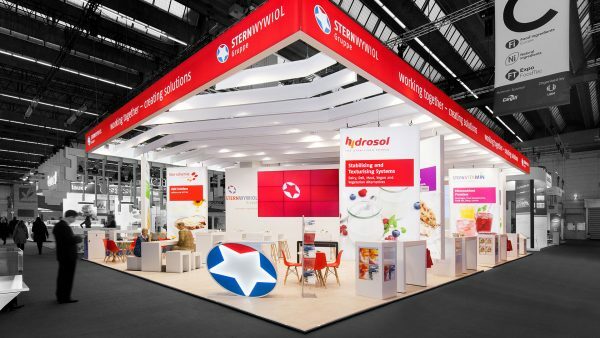 The latest challenge for PREUSS MESSE at Vitafoods Europe in Geneva: to showcase SternLife and SternVitamin – two separate divisions of the Stern Wywiol Group with two separate identities – on a 32 m² corner stand in such a way that each division has its own space, but that the stand itself still boasts a uniform identity. 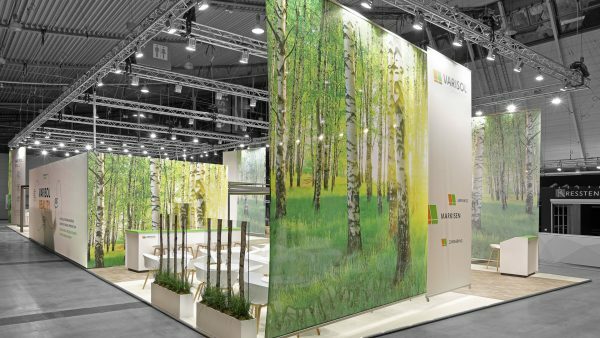 A shared catering area formed the neutral zone and divided the stand into two visually distinct areas along the middle. 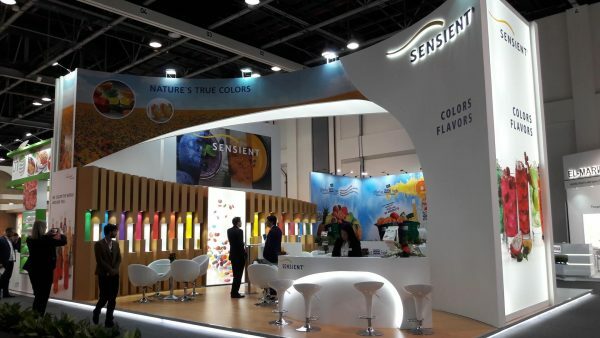 To the left was SternLife, a supplier of functional food, especially for the fitness sector. The CI was completely overhauled, with new colours and forms shaping the appearance and creating the desired young, natural and healthy vibe – green smoothies are all the rage! 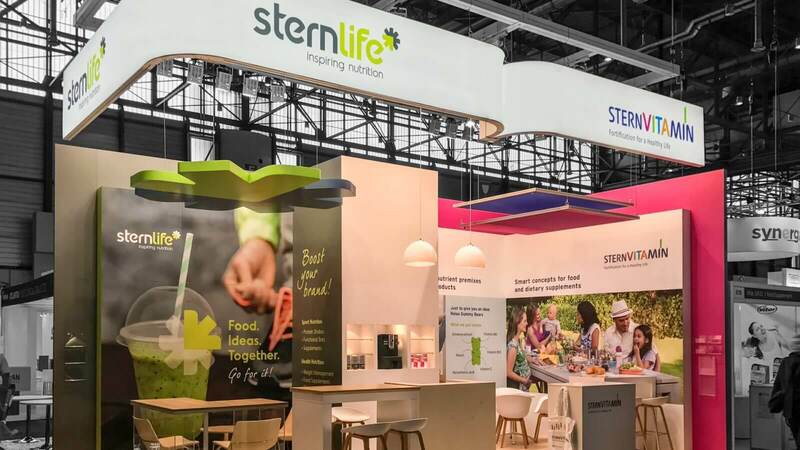 The eye is immediately drawn to the new visual image (and part of the SternLife logo) – an elaborate 3D star with integrated arrow hanging from the ceiling, which always points to the product being promoted when used in the company’s campaigns. On the right-hand side, the appearance is dominated by the logo of micronutrient premix manufacturer SternVitamin. The bright pink back wall and emotional imagery lend this area an eye-catching appearance. When the stand is viewed from the front, the two illuminated screens above it tie everything together. An appearance cut from the same cloth – and yet so different.